Our town has a weekly farmer’s market every Saturday. It runs from late May through the month of October. Local farmers sell produce, baked goods, jams/jellies, cheese, flowers and crafts. There are vendors making donuts, sandwiches, hotdogs and even a vendor with a converted pizza truck who takes orders to make specialty pizzas on the spot. Folks visit the market then sit in the nearby park eating lunch while listening to local high school students play music in the sunshine. It’s a picturesque scene with all the coziness of a small town. I love to head over to the market in the fall when produce is plentiful. One of my favorite booths at the market is the honey booth. I always buy a huge container of honey so that I support our local farmers while benefitting from the delicious taste of sweet golden honey. This recipe is adapted from the Tried and True Favorites Cookbook…my “goto” for foolproof recipes. This bread is indeed foolproof as it always bakes up beautifully. The whole wheat and honey make this loaf hearty, moist and slightly sweet. I use the bread machine to make things as easy as can be. Place all ingredients in the bread machine in the order suggested by the manufacturer. Select “whole wheat” or “medium” setting; press start. This type of bread is my husbands favorite! Thanks for sharing, I can’t wait to try! Oh, I hope you enjoy it! So easy to make and really quite delicious. Thanks for your comment! I love making bread. We make everything in it! This recipe will definitely get made in our house. It is, Heidie…I hope you have a chance to try it if you are looking for a salmon recipe. Thanks for lending a comment to my post and for visiting my blog! Hi Tina, thanks for your comment and for stopping by. 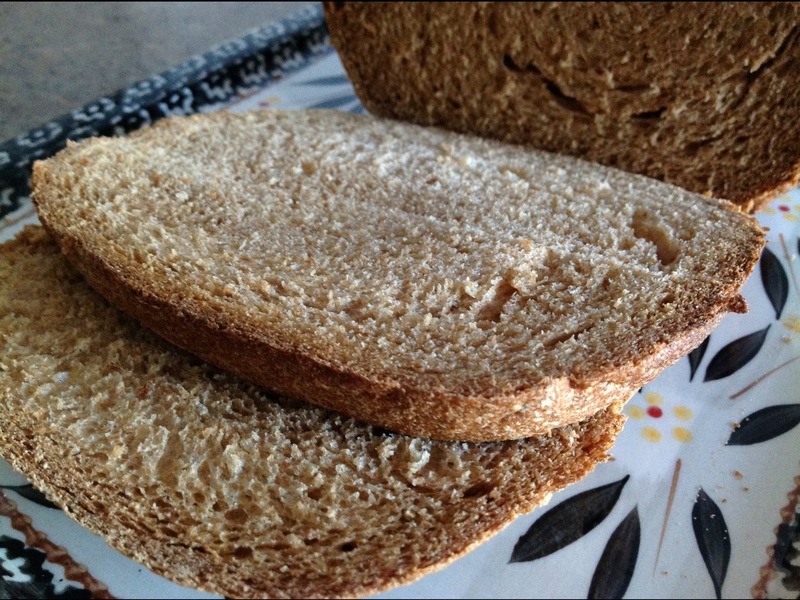 The bread is quite tasty and super easy to pop into the bread machine. Is there a conversion chart that you can use for adapting a loaf to fit the 1 pound machine? Let me know what happens when you reduce the recipe or maybe you could post it so others can follow your adaptation. Some of my friends have the smaller machine and I am never sure about paring things down. Thanks for your comment and for stopping by!